Farmers Market Season Begins! Plus a new surprise for Newton -Panorama ! Like many of you , I eagerly await the arrival of local farmers markets . I love seeing all the luscious veggies and fruit, smelling the fresh baked bread and other handmade goodies. It’s also a great way to try new products from local artisans and craftspeople. Last year I discovered a line of homemade body lotions and soaps that are divine! 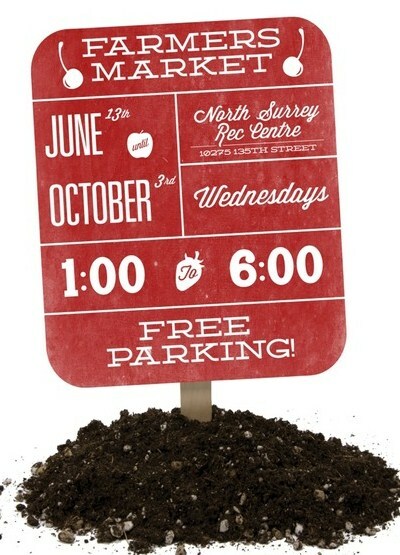 Surrey ‘s Urban Market opens this Wednesday. I often don’t get a chance to make it to the City Centre location, but when I do I have come home with a bounty ! 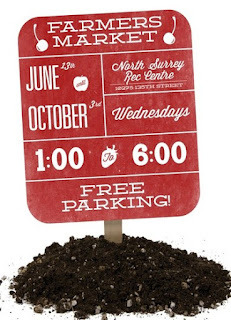 That’s why I am THRILLED that Surrey Urban Market will be closer to home at Surrey City Hall every other Thursday from 11-2pm. As you know, ReNewton began with a public awareness campaign to encourage the new owner of the former Public Market site at King George and 64th to bring back the once loved public market. The original one back in the 80s was the best! I hope that South Newton -Panorama- Sullivan residents will support this new location to show that a permanent market can work in our community! Previous Post:Should our wooded areas be saved or developed?